Ahmedabad: Patel quota agitation leader Hardik Patel appears to be warming up to AAP chief Arvind Kejriwal ahead of Gujarat Assembly elections, by issuing statements supporting the Delhi Chief Minister and urging him to spell out what he can do for his community. Kejriwal, on a four-day visit to Gujarat, is widely seen to be in the poll-bound state to woo the numerously strong Patel community to gain foothold in Prime Minister Narendra Modi's home turf, where the BJP has been in power for long but is now facing challenges. 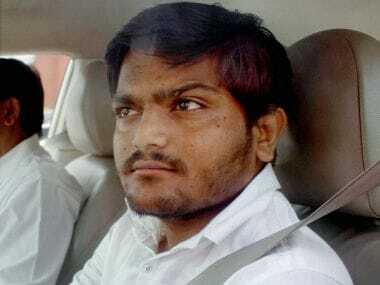 Hardik is being wooed by all opposition parties of Gujarat after he came out of jail, and declared that he might jump into politics if his community members want him to do so. 23-year-old Hardik's leaning towards AAP and Kejriwal are being seen as a major shift in the strategy of his organisation Patidar Anamat Andolan Samiti (PAAS), which has so far tried not only to maintain distance from political parties but also opposed leaders of BJP and Congress whenever they tried to organise programmes in Patel-dominated areas. On Friday, Hardik issued a statement in support of Kejriwal, who was on his arrival greeted with protests by members of a local outfit 'Yuva Azadi' over his remarks on the surgical strikes by the Army. "We should not oppose Delhi Chief Minister Arvind Kejriwal when he is coming to meet the family members of those who died during Patidar community's reservation agitation. He will tell the rest of the country about our plight," Patel said in a message from Udaipur. "Our youths lost lives during the quota agitation, cases were slapped against us for carrying out the agitation. Please spell out during your visit what you can do for us," Patel wrote in the memorandum to the Delhi Chief Minister. "Our main demand is reservation for our community and you should spell out what you can do for giving reservation to us," he asked. "BJP has finished democracy in Gujarat. You are the chief minister of the capital of the country — Delhi — and whatever you say will be heard in the entire country. 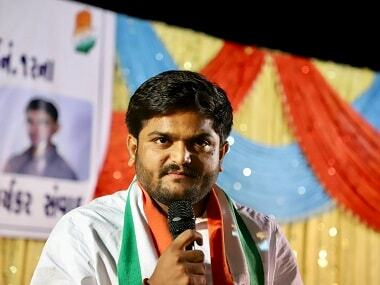 I request you to do whatever is possible for our community," the memorandum by Hardik said. In response, Kejriwal said, "It is important that those leaders who ordered firing on Patel protesters (during quota agitation of August 2015) should be punished." Earlier, PAAS members on the call of Hardik had disrupted a public rally of BJP chief Amit Shah in Patidar community dominated Varachha area of Surat. The outfit had also barred Congress and BJP leaders from entering areas dominated by them and many functions of BJP leaders were disrupted. 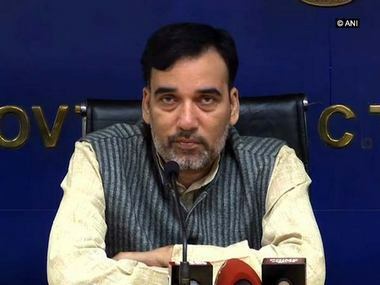 The BJP had effected a leadership change in the long-ruled state with Anandiben Patel being replaced by Vijay Rupani as Chief Minister, though the party had rejected suggestions that that was the result of organisational and electoral calculations. 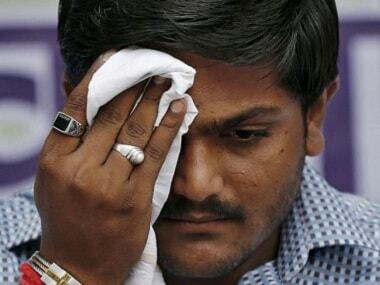 The quota stir had turned violent after the arrest of Hardik Patel in August 2015. Patel community protesters had indulged in arson and stone pelting and clashes with police and damaged government and private properties worth crores of rupees. In police action against protesters, 12 youths including one policeman had died in the state. Kejriwal on Friday met family members of some of the Patel youths who lost their lives. Patel community has so far supported BJP in Gujarat. 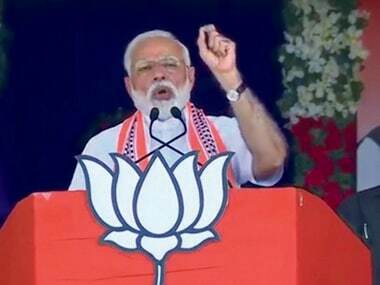 On his arrival, Kejriwal had alleged that BJP president Amit Shah and his party were trying to disrupt the rally in Surat on Sunday.